graduation | Shelf Elf: read, write, rave. It’s graduation season, for students little and big. 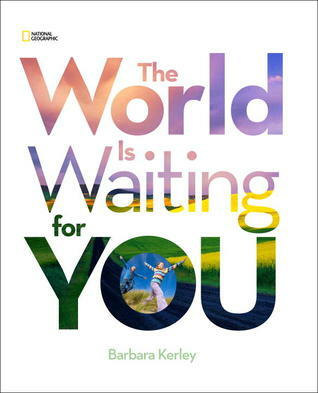 Barbara Kerley’s The World is Waiting for You would make a lovely read aloud for classes getting ready to make a big leap into Grade 1 (or even Grade 9). It’ll make a nice companion to Oh the Places You’ll Go, which seems to be the tried and true book when it comes to celebrating graduations. “Right outside your window there’s a world to explore. Ready? Follow that path around the next bend. Who knows where it might lead? The pictures really do take center stage here, with the words positioned unobtrusively in the corners or else laid out cleanly on plain white pages facing the giant photographs. There’s a clever pattern in the way the photos have been selected and arranged too. It alternates between a photo of a child doing something (exploring a river) with an adult doing a similar activity, often in his/her job (oceanographer diving with dolphins). I like how this invites kids to see their experiences of the world as being as important and authentic (and cool!) as the things adults choose to do in their day-to-day lives. 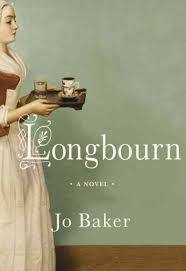 The World is Waiting for You should make readers want to race outside, away from screens and desks, towards all of the adventures to be found out there in the wide world. The World is Waiting for You is published by National Geographic. This entry was posted in Non Fiction and tagged Barbara Kerley, graduation, inspiring books for kids, National Geographic, oh the places you'll go, photography on May 24, 2013 by shelfelf.